Empowering your staff to provide enhanced patient care. At Keystone Healthcare, our priority is helping our clients to get the maximum potential from our equipment. By providing education and guidance on the correct use of our products, not only do patients benefit from better outcomes, but the equipment lifespan will be prolonged. Our team of professionals have observed a tendency for busy staff to overlook a feature or function that can help make their job easier as well as improving their patient’s comfort. Our in-facility training inspires your staff to improve safety and efficiency when using our equipment to deliver patient care. By undergoing training, staff build confidence in knowing they’re using these products at an optimal level. Falls prevention product training demonstrates a firm commitment to Occupational Health & Safety. After completing training with us, we can provide you with a certificate of completion to be added to your OH&S record, proving your facility is proactive in keeping in-line with Australian OH&S regulations and requirements. Why Use Fall Prevention Product Training? 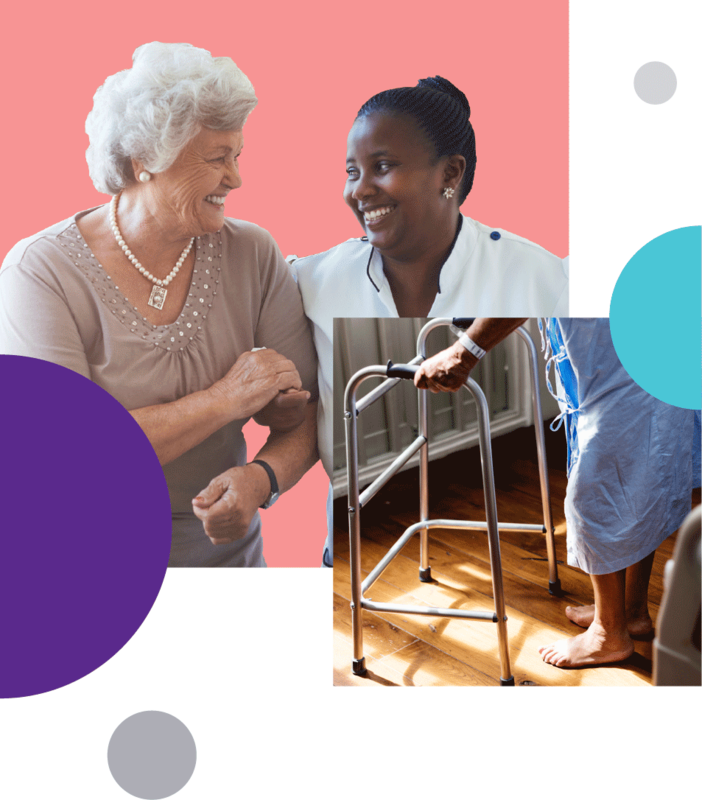 Our online equipment guides will help you understand each of the products available at Keystone Healthcare and demonstrate the correct use in a care setting. Our guides provide a step-by-step process for the set-up and installation of the product. Additional documents demonstrate how to customise solutions for unique patients and environments. The Proximate Pro is a fall and wandering monitor system that is specifically designed to meet the needs of a busy Acute or Sub Acute Rehabilitation unit. Particularly useful for dementia patients, this system quickly becomes indispensable wherever it is employed. Looking for a different user guide? Call us on 1300 547 877 to request documentation for your equipment. To book your fall prevention training, simply call us on 1300 547 877 to organise an education session at your facility. Our experienced staff come to you to deliver a tailored training program to meet the unique needs of your hospital or care facility. Training is available for groups both large and small.